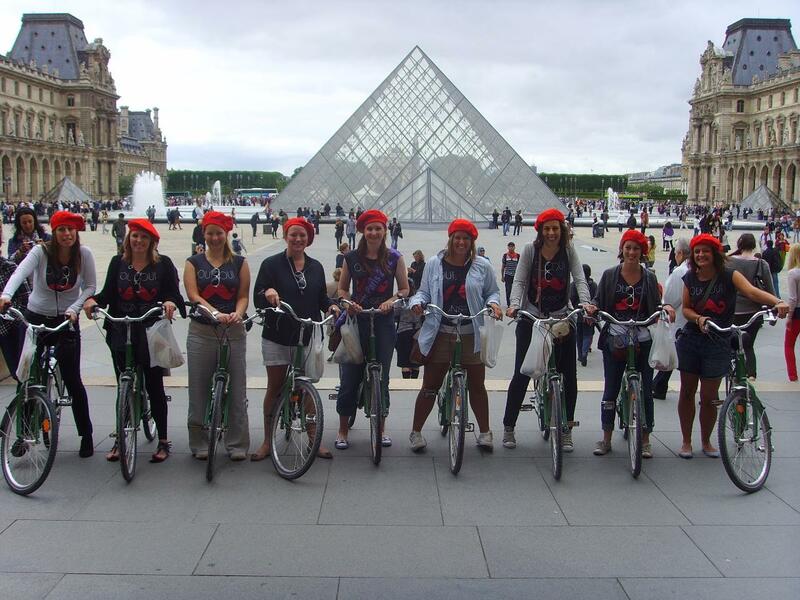 Join us on our Private Group Bike Tours for a fun & interactive tour of the city of light! 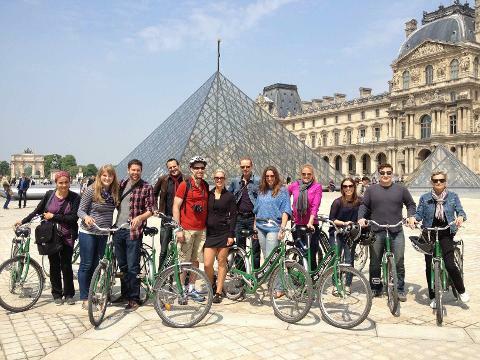 If you’re coming to Paris with a group, be sure get out of the crowded buses and take one of our private group bike tours of the city. We’ll customize a tour to fit your group’s specific needs & itinerary while traveling through Paris. You will have your own expert guide to show you the best parts of the city and give you all the insider recommendations for your trip. These tours are great for school groups, corporate events, family outings, honeymooning couples, and more. 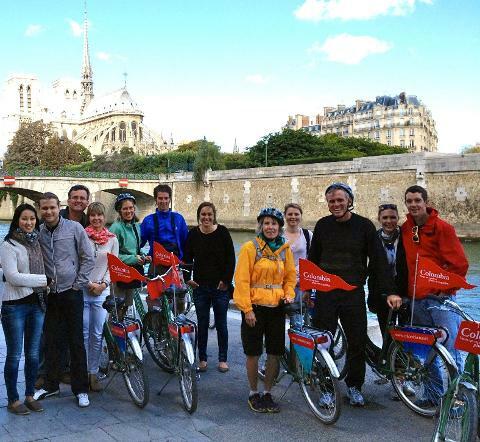 Fun options can be added to group bikes tours, such as a picnic along the Seine or even a boat cruise!